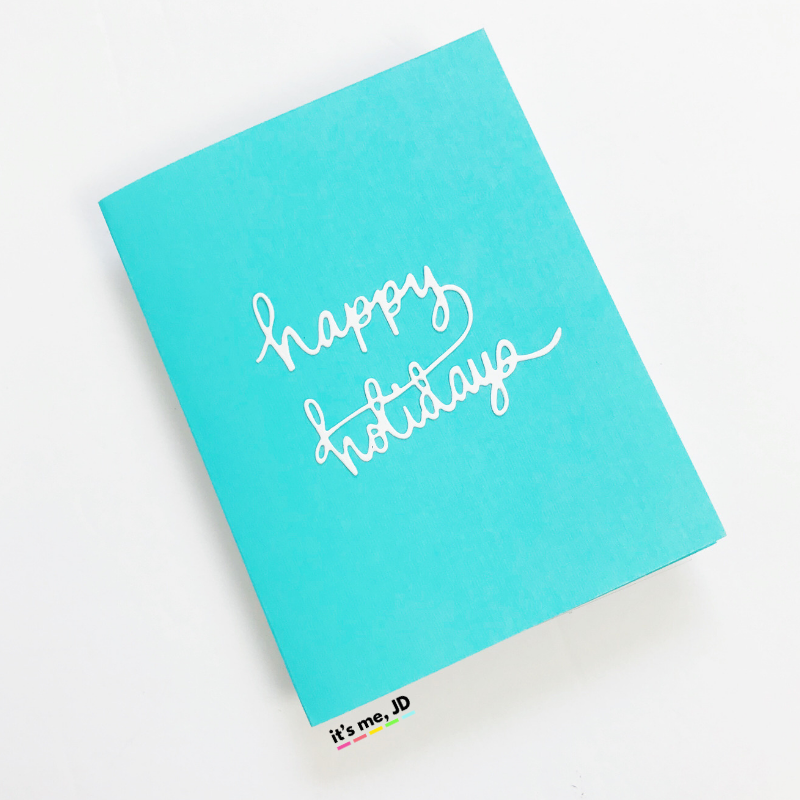 A handmade shaker card is a staple in the card making world. 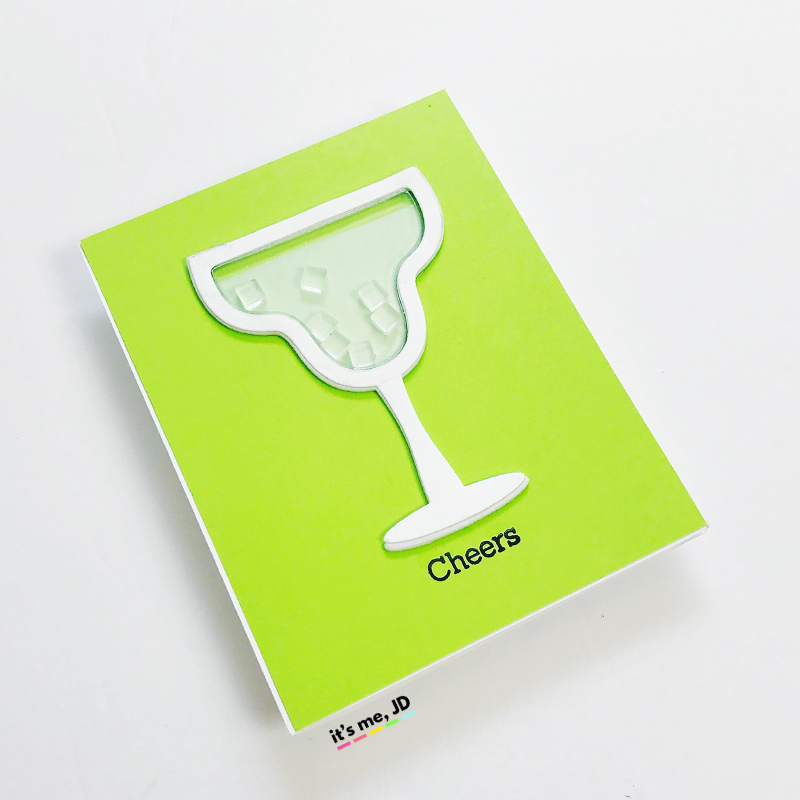 It adds a fun, dimensional interactive element that takes your DIY greeting card to the next level. I’m going to show you ten different ways to make a shaker that’s easy enough for beginners and still enjoyable enough for advanced crafters. 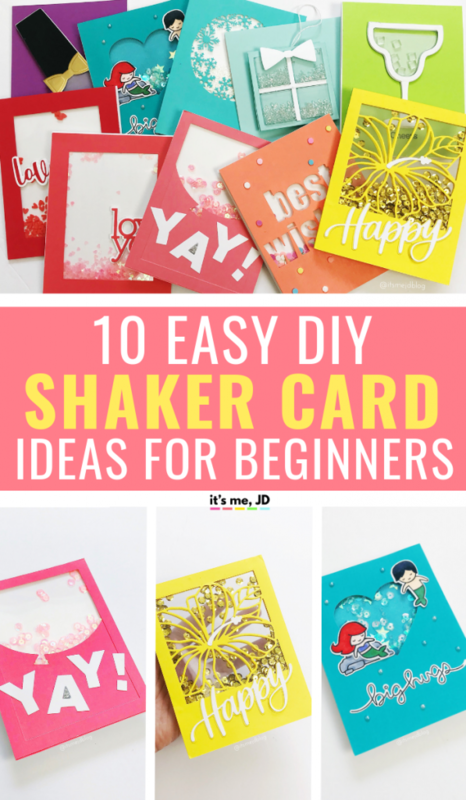 To get started with creating your shaker card, you’ll need some basic supplies. 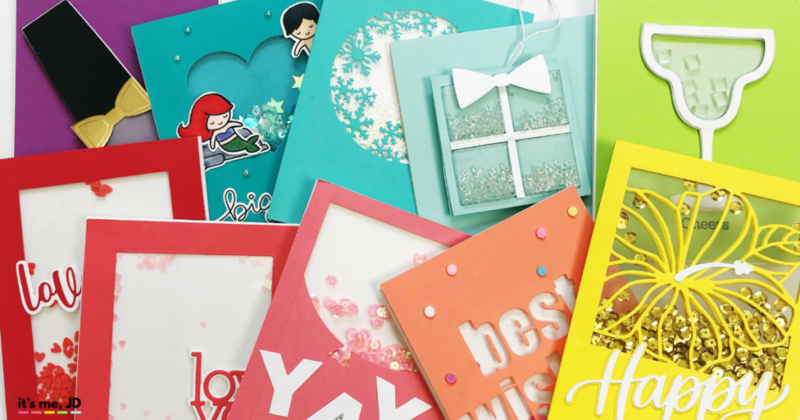 The supplies I used for each card will be listed below each project. You can watch the video below or on YouTube for visual instructions. Be sure to subscribe! I use my manual cutting machine to cut out a rectangle frame. 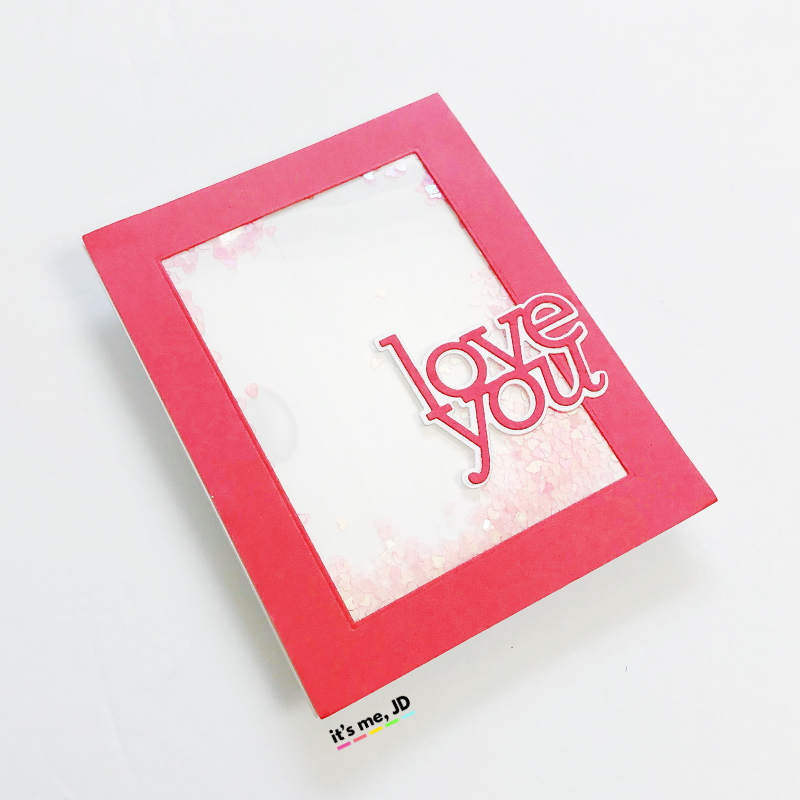 I adhere acetate to the back of my frame with strong double sided tape. Then I attached foam tape to the back of the acetate along the frame to create my reservoir to contain my shaker bits. I poured out my shaker bits on another piece of cardstock that was the same size as my rectangle frame. 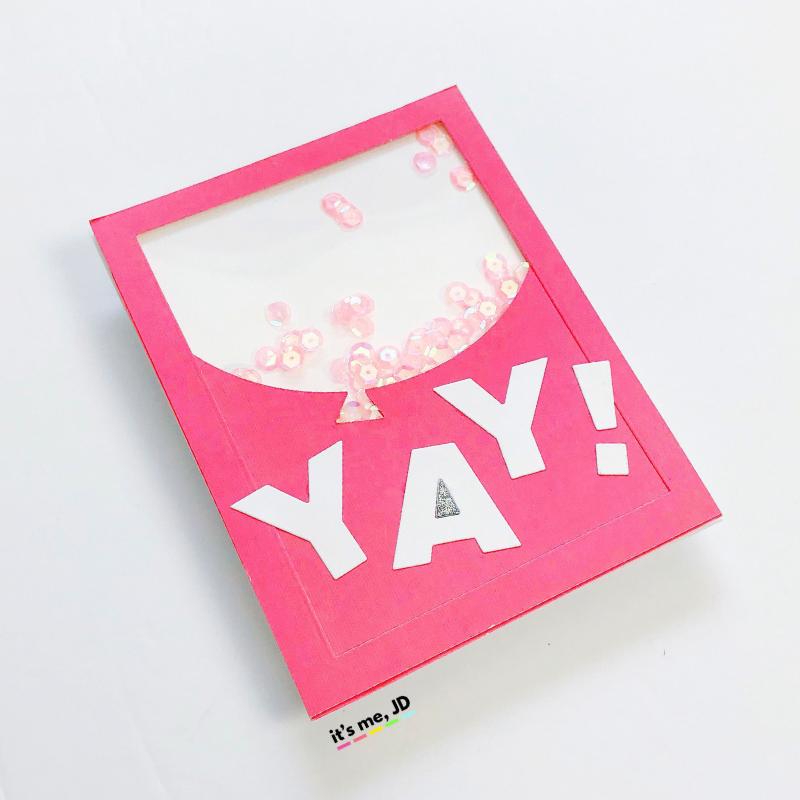 Then I attached my rectangle frame to my cardstock to seal it all of the shaker bits. This is a great option if you don’t want to add a lot of bulk to your card. Flat shaker cards are much easier to send through the mail. 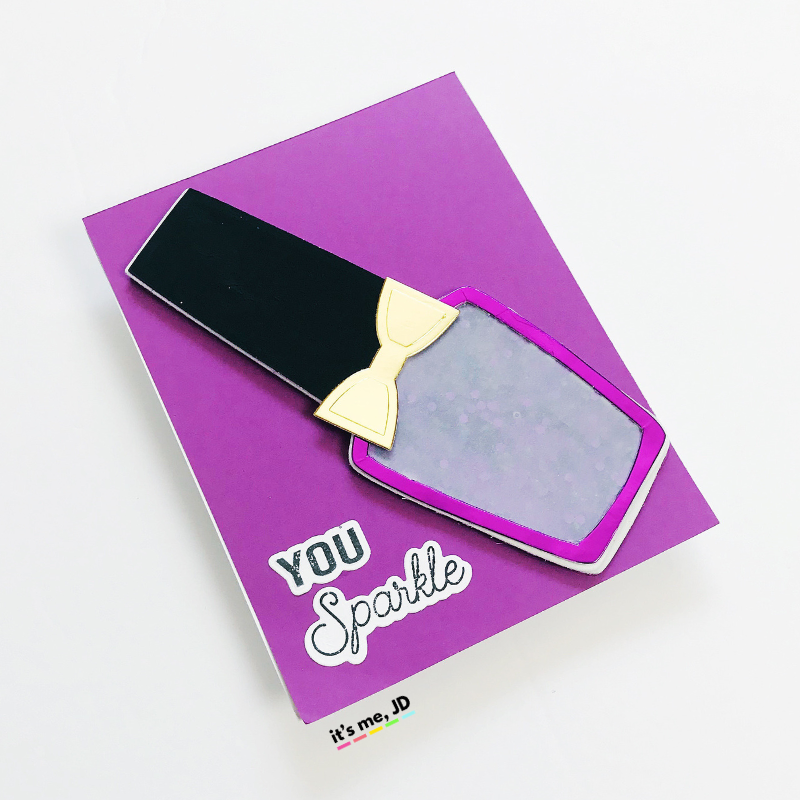 Follow the directions for the basic window shaker card but instead of using dimensional sequins and foam tape, use flat sequins or confetti and double sided adhesive for your reservoir. 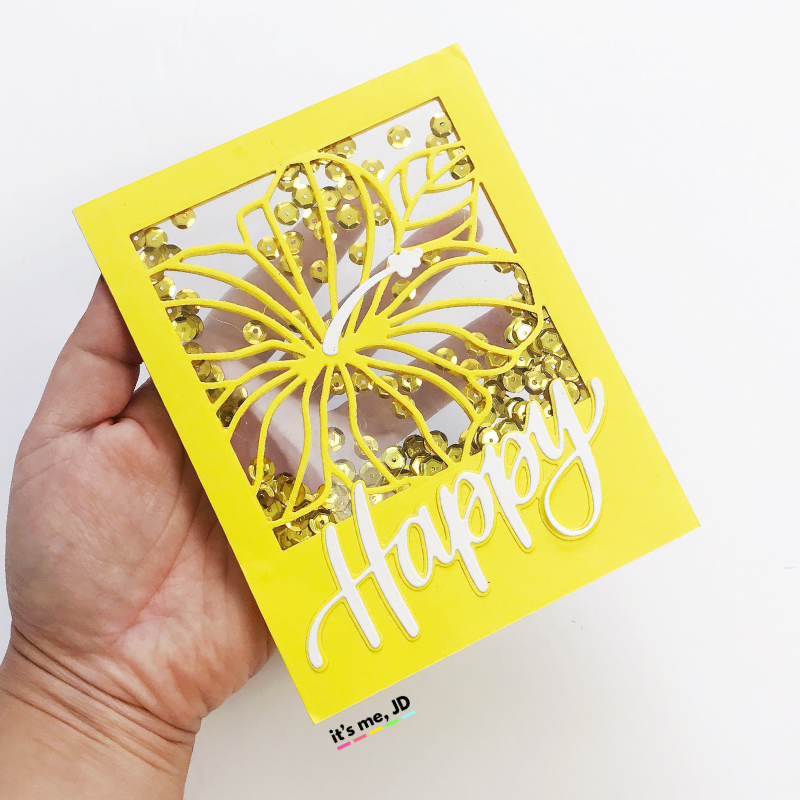 If you have fun specialty shape dies like this, you can use this to make an off center shaker card that goes along the side of your card front. Just be sure to add a frame to hide your adhesive. Your see-through element does not have to be a shape. 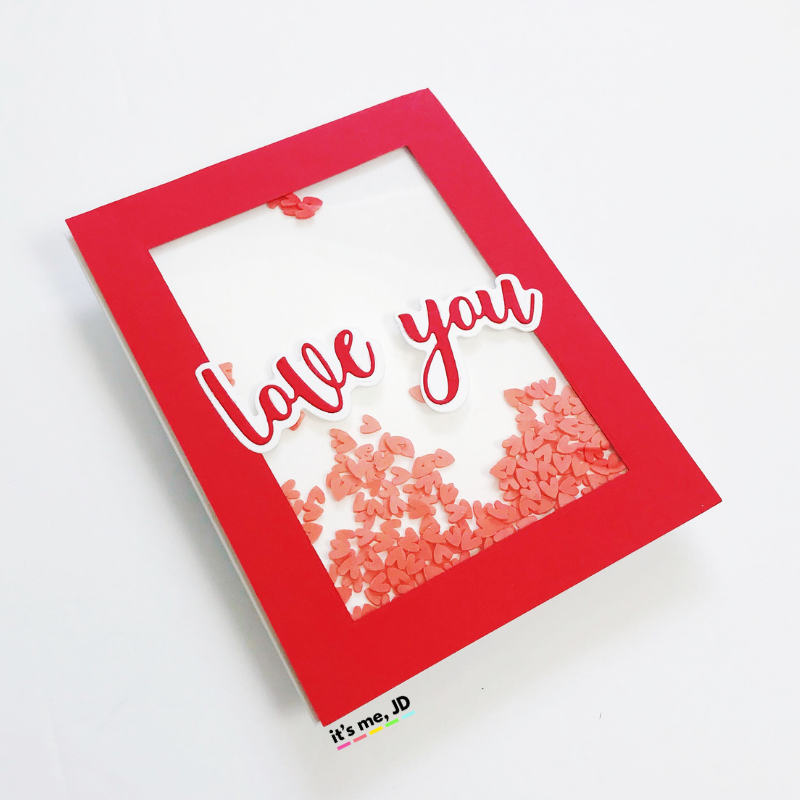 you can use word or alphabet dies like this to create a shaker window for your handmade card. The thicker the font of the die, the better you can see more shaker bits. 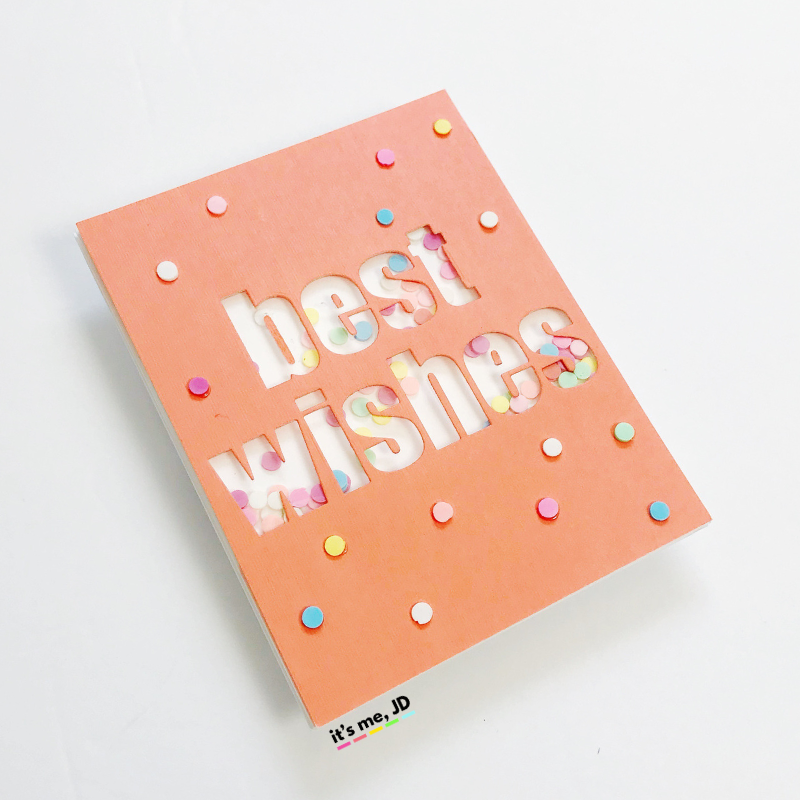 This card requires this use of this premade clear card and four cardstock panels. Two of the same panel for the front of the card and two of the same panels for the back of the card. I used this amazing die for this card. I would watch the video for this tutorial for it to make sense. Shaker pouches like these are great for those that are pressed on time or perhaps don’t want to fussy cut their acetate. They are the perfect height to contain your shakers and you know that they are the perfect fit for your shaker element. I loved these ice cubes for any drink themed shaker card. This shaker card also used shaker pouches but then I used this velcro to make the entire shaker element removable to use an ornament. 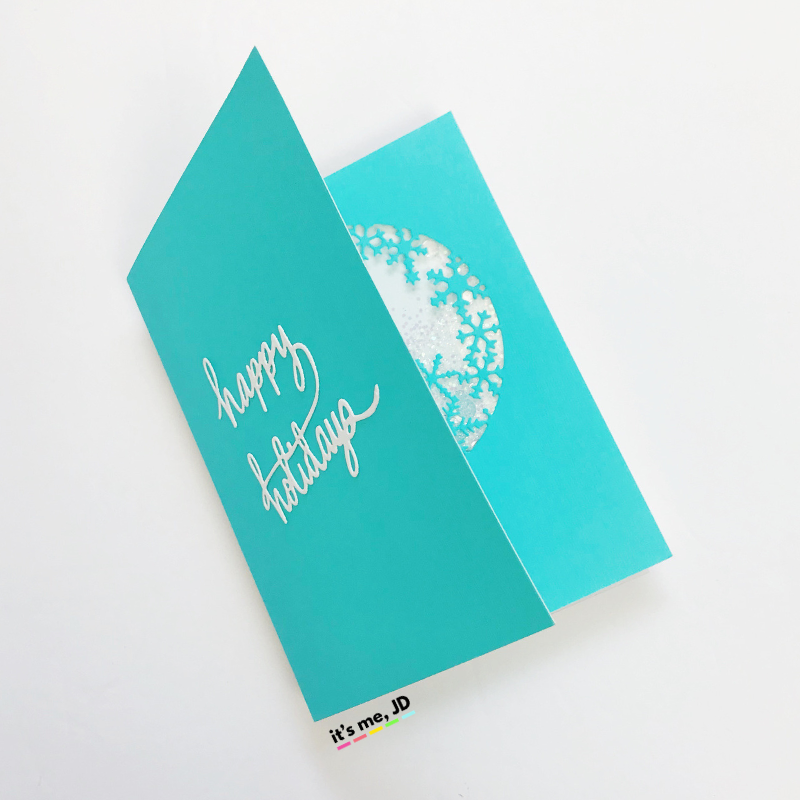 This DIY card has the shaker element on the inside of card. To do this, I worked on the inside panel of the card as my shaker window. The video has clearer instructions. I learned this technique from Jennifer McGuire. Instead of using acetate for your window, you can use inexpensive tulle. 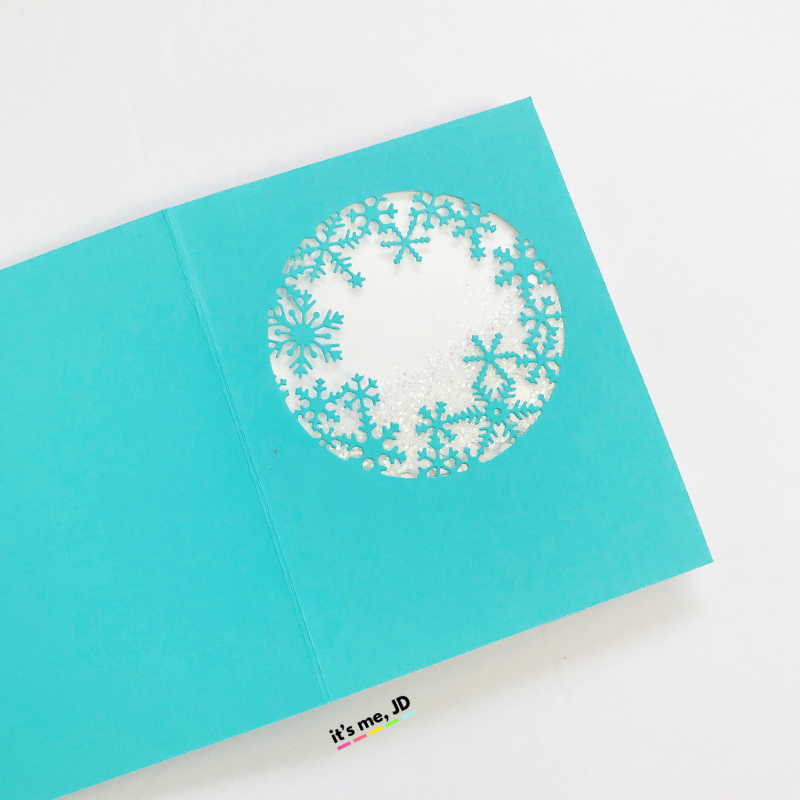 For this card, I used vellum for my window. It’s a very cool frosted and muted element to my shaker card. What’s your favorite kind of shaker card to make?